GirlBoss CEO & founder Alexia Hilbertidou has won the 2018 YES Emerging Alumni of the Year Award. 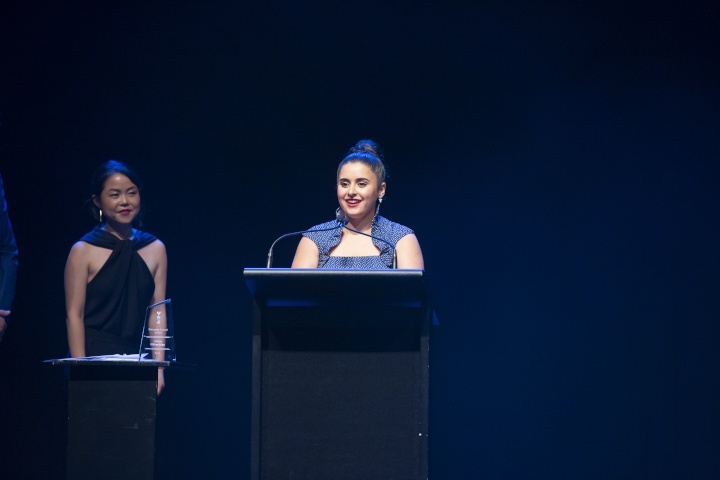 The Young Enterprise Scheme National Awards gala dinner was held on Thursday 6 December to celebrate the achievements of New Zealand’s most outstanding young entrepreneurs. A component of the awards ceremony is the YES Alumni Awards – for past YES students who have gone on to do great things. The award was determined by people’s choice, and Alexia won by popular vote as one of seven finalists selected by an independent panel of judges. This year the Alumni Awards received the highest number of votes on record. The Emerging Alumni Award finalists were selected for making a real impact and a strong impression on New Zealand business so early on in their entrepreneurial journey. Alexia is CEO and founder of GirlBoss NZ – a platform designed to encourage females to get involved in STEM subjects as well as leadership and entrepreneurship.